Rog Blazer – Vocals, Rhythm Guitar, Lead Guitar, Bass, Piano, Keyboards, Drums and Drum programming. Without You is a love song, about lost love and the after math of separation and being unable to deal with the loss. The song describes the yearning, the longing and the hopelessness you may feel after you loose something you love. Addicted - not getting enough of someone you are so insanely crazy about. Angel - looking at love with a new perspective and realizing how important certain things in life are. Rog started out at a hard rock / heavy metal guitar player. Over the years, Rog has experimented with many genres of music. This album varies from Pop Rock to blues to Hard rock. The songs are guitar oriented, similar to Santana and Gary Moore. The lyrics are deep and often easy to relate to. is a blend of both our music styles. A little bit of hard rock, some pop rock, some blues. We feel this is what we want to do. When playing live, in addition to our own music, we play covers from Black Sabbath, Metallica, Judas Priest ... we enjoy playing high energy rock. Ana is a die hard Queen fan. Rog found Ana during a performance where Ana sang "Bohemian Rhapsody" by Queen. Rog - I decided to play all instruments on this album. It really changed my level of creativity and enabled the creation of all songs on this album. The freedom to explore instruments that I had never played before, allowed me to expand musically and enhance my creativity. Ana - The best advice I ever got was to be fearless and trust in oneself when creating original material. "Nothing is impossible, just somethings are harder than others." - Both Ana and Rog believe exactly the same thing. The art of creating music and composing originals brings joy to Rog. His studio is his sacred place, where thoughts flow freely, his fingers take charge and the guitar takes life. When Ana reads the lyrics and listens to the composition, the pieces fit like a jigsaw puzzle and the RaTiO2 magic happens. 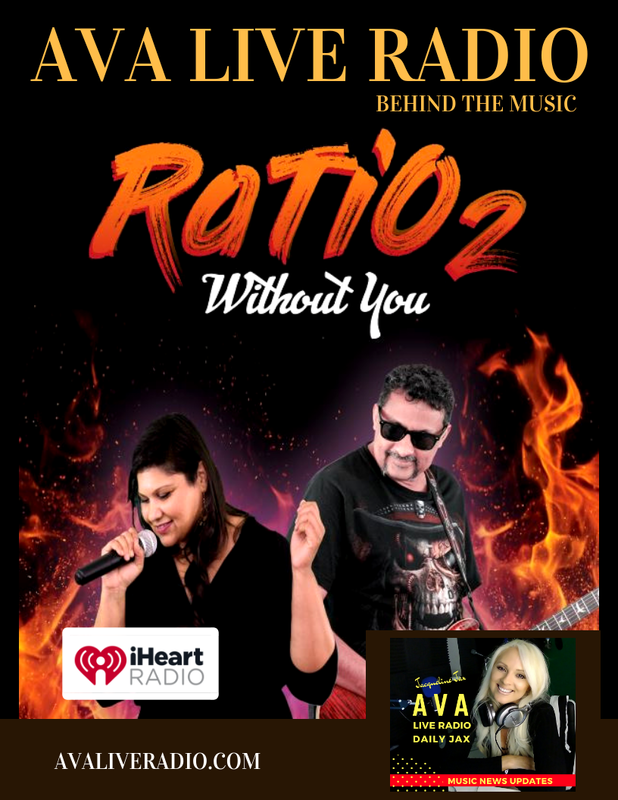 Jacqueline Jax features RaTiO2’s new single and title track from their New Album “Without You”. Ana Taser and Rog Blaze speak on making their music from start to finish. The challenges of the indie artists of today are based on time and knowledge. If you are willing to work consistently at improving your skills, you can accomplish anything. Behind The Music with Kelli Brogan on " The Woman I Was"
New Single from Tommy Ocean "Cannot Live"